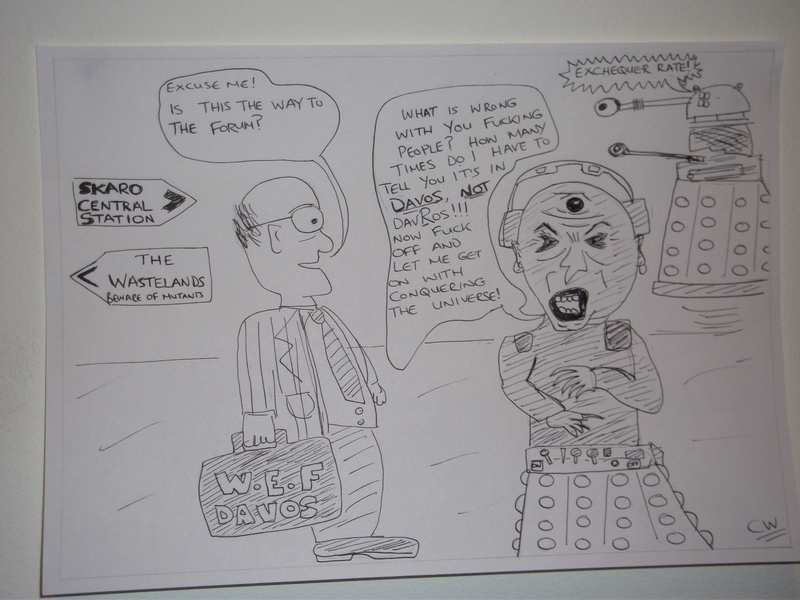 Could it be pure coincidence that the recent World Economic Forum was hosted by Davros, megalomanical genius, crippled mad scientist and creator of the universe’s most evil creatures the daleks? It all makes sense now. The world recession and credit crunch were engineered by Davros and his minions as part of an evil masterplan to bankrupt the planet’s economy and thus conquer the earth and absorb it into the glorious dalek empire! Now if the only a certain Time Lord were around to save the world. Just where is the Doctor when you need him?